With all the paper statements and confidential letters, I often let it get piled up in my folders and on my desk in the paper tray over time and due to procrastination. Because my little one is always touching things, I had to put away my old little paper shredder in the storage room when it’s not in use. It’s dangerous having it lying around especially when the lid can be easily opened, exposing the sharp cutters. I also admit that I’m lazy to bring it out and place it back and forth. I needed one with better safety and that I can just leave under my desk. 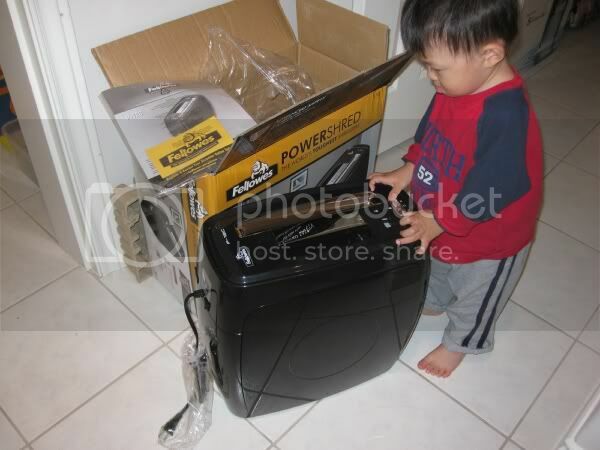 I was given the opportunity to try out Fellowes P-12C Paper Shredder. It is a cross-cut shredder (black) with Safe-Sense Technology. This advanced electronic safety sensor surrounds the paper entry and automatically stops the shredder when hands are too close to the paper opening. The P-12C has a compact design and yet powerful enough to shred paper clips, staples, paper, and credit cards. It has a on-off switch at the back as well as a safety lock at the top. I also noticed the pull-out bin (which holds 4-gallon). I like this feature because it’s quite convenient just to slide it out from the side. Unlike my old one, I have to lift out the whole unit from the waste basket and being careful of the sharp cutters underneath. Identity theft is increasingly extending to children, and it can take years to clear their good name. Whether your children are in elementary school or off to college, the simplest way to protect them is with a shredder. With the Fellowes P-12C Paper Shredder, you won't have to worry about anyone looking through or getting their hands on your confidential information. 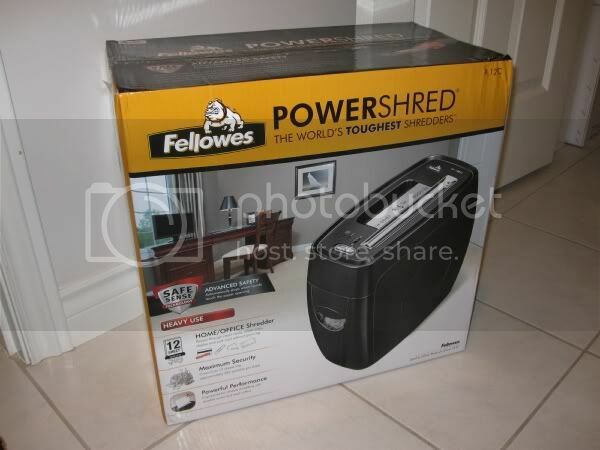 WHERE TO BUY: The Fellowes P-12C Shredder is available at Target stores for $84.99. If you like to win it, one (1) lucky reader will have a chance to win the above Fellowes paper shredder. Chosen winner will be selected via Random.org. Visit their website at http://www.fellowes.com and tell me in the comment below which other products do they make. This is a mandatory entry. Contest is open to US & Canadian residents. Contest closes October 10, 2010 11:59pm (PST). 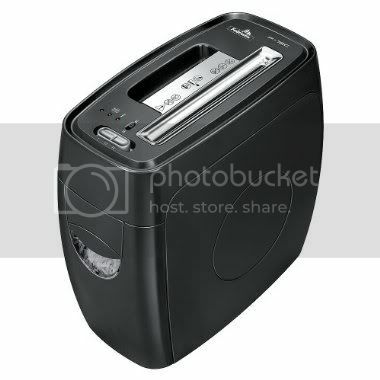 Disclosure: I received the Fellowes P-12C Paper Shredder at no charge in exchange for a review of my opinion. Thanks to GolinHarris PR and Fellowes. The opinions expressed are my own personal and honest thoughts. No other compensation was given. Hi Lise, Oops sorry.. I guess I was copying from the previous posts. I will have that fixed. Other products they make are laminating machines such as the Mars ML125 Laminator. (#1) I LIKE your Facebook Page at Jen's Reviews and Giveaways. Mars ML125 Laminator is what I would like to try. They also make SafeCut paper trimmers. They also make storage boxes and laminating machines. They also make Plastic Comb binding machines! They also have Laminaters! I could laminate lots of things! They sell wireless computer mice & I need a new one soon. They make laminating machines, cutters, binders, boxes. I "like" your Jen's Reviews FB page (under my name, Piroska). #2 I "like" your Jen's Reviews FB page (under my name, Piroska). #3 I "like" your Jen's Reviews FB page (under my name, Piroska). I "like" your other FB page (Art of Jennie Yuen)--(under my name, Piroska). #2 I "like" your other FB page (Art of Jennie Yuen)--(under my name, Piroska). #3 I "like" your other FB page (Art of Jennie Yuen)--(under my name, Piroska). I "like" Fellowes on FB (under my name, Piroska). #2 I "like" Fellowes on FB (under my name, Piroska). #3 I "like" Fellowes on FB (under my name, Piroska). great review of the paper shredder, i really want a good shredder for a home, which is silly cause i work at DGD papers who do shredding, lol! although i cant bring stuff in from home. how do you enter competition? great personal review on Fellowes. 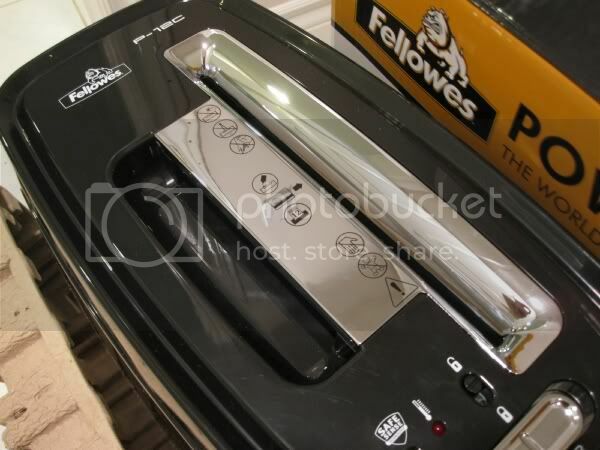 Fellowes is still the no.1 trusted family owned shredder which has survived many ups and downs but has emerged a winner!